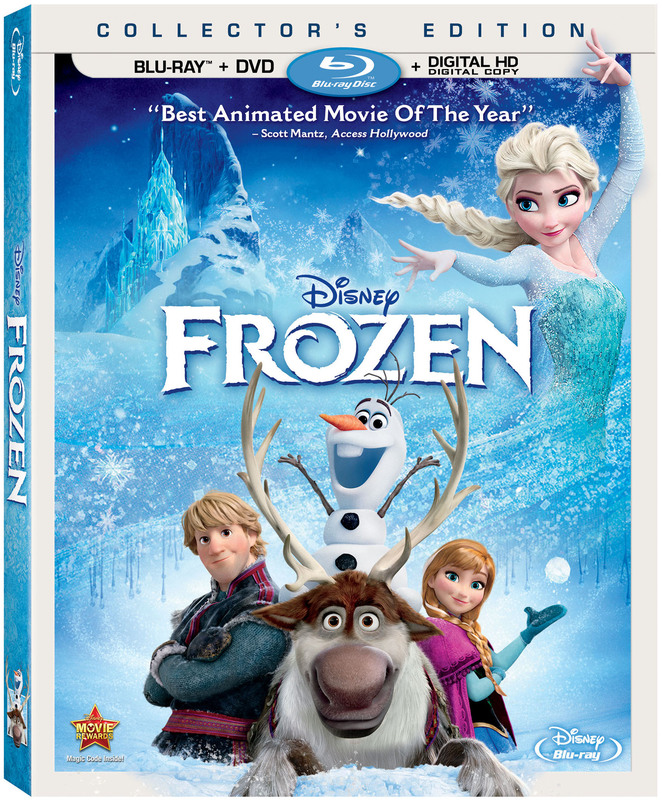 Walt Disney Studios Home Entertainment has announced Frozen for Blu-ray release on March 18. The 2-disc combo pack will include a DVD and Digital Copy. The Blu-ray witll be presented with a 7.1 DTS-HD Master Audio track. Check below for a list of technical specifications and supplements. [Update] 3D version of Frozen will be exclusively available through Walmart. [Update #2: The 3D listing is no longer available at Walmart. Currently plans to release the 3D version of Frozen in the US is up in the air. Amazon.co.uk still has this title listed in 3D (Region Free) on their website here.